Buying property in Marbella should be a joyful and pleasant experience, and it is most of the time, but sometimes we encounter home buyers that have come over totally unprepared and then buying a home in Marbella can be a nightmare. To make the most of your short stay when buying property in Marbella, we have compiled a list of ideas that can make the home buying experience that much more pleasant and will give you a better home for your buck. Don’t just take it from us! Google it! It is true that Real Estate Agents in Marbella will know more about the area you want to buy your next home, but there’s nothing better than doing your own research at the same time. 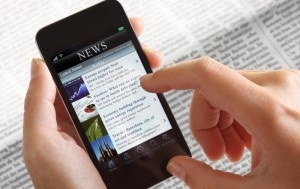 Many real estate websites will publish the latest news on their blogs, and the Spanish news is available in almost every language now, so stay on top of things and find out about the area before buying property in Marbella or any other area on the Costa del Sol. If you already know what area you wish to purchase your property in then research that too. Searching the name of the particular area in Google might give you some useful insights on the amenities, nightlife, public transport and more so you can leave the more complicated questions for your Estate Agent. Why are you buying property in Marbella? Good question right? Is it the sun, the beach and the nightlife? Or are you looking for rustic, Mediterranean style villages? Those are 2 very different things so make sure you know what you want before you come over for viewings. Your Real Estate Agent can then compile a list of properties that are definitely up your street instead of showing you a property that you would never set foot in even if you were paid to do it! Is there a school nearby? Are there any hotels near for my family and friends to stay? You need to get your priorities straight and let your agent know about them so they can already exclude those properties that don’t fall within your criteria area. Lastly, once you have seen a variety of properties, don’t hesitate to go back to the area and “settle in” at a local cafe or bar. Ask the locals what they think of the area and have a meal or a drink at the local pub. Pretend you have actually moved to the area and see if the atmosphere lives up to your expectations. This is often harder than it seems! Once you have set a budget you have to stick to it, no matter how much you want that house that is 50K over your budget, you should not even consider it because everything else you see after that one will not be what you are looking for in comparison. Give your agent a lower figure than you had in mind, about 20K to 30K less than you expect because then you know you won’t be too disappointed if they are showing you something that is out of your budget and you have a bit of leeway. 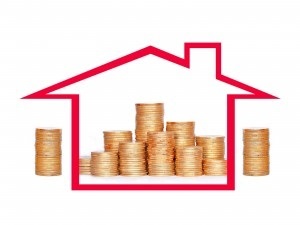 Ask to see bank repossessions as well as bargain properties that need some maintenance. You will be surprised how much a little DIY can save you money on the purchase of your property. Be open to suggestions from your Estate Agent, they have seen many properties in their time and will know what improvements can be made to a home. Especially in Marbella, many properties have been on the market for a long time, but all agents have their own “exclusive” collection of properties that have just been released on the market or are about to be released. Space Marbella has a great working relationship with many local banks and is always the first to know when a new property is about to be released. We then send out these properties to those that signed up to our newsletter (here on your right) so our clients always have first pick on the best and mostly cheapest properties on the Costa del Sol. It is a great idea to sign up for a newsletter as you will get the latest information as well as the most sought-after properties. If you are not in a rush when buying property in Marbella, then sign up with your agent well in time and keep in touch with them. Let them know you are still looking because this will build rapport with the agent and will help you in the long term as the agent will really know what you want and need by the time you are ready to purchase your property. 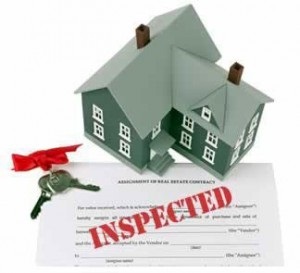 It is ok to ask for a property inspection once you have decided on your new home. The seller should have repaired all major faults with the property or at least should have made you aware if there are any so to ask for an inspection should not be a problem if the home is in a good order. disintegrate in the next month because it is infested with woodlice and it is not going to leave you with huge repair bills if you find out too late the roof is leaking or the pool has a leak in it. It is a small price to pay for a huge potential saving especially if you bought the property for rental purposes, it needs to be in tip-top condition. There are many aspects that make buying property in Marbella a successful experience so don’t hesitate to contact us if you need any help or advice. We are the only agent in Marbella that organises “Property Tours” each season, where you get to see a whole host of properties in one day so you can really make an educated decision. Sign up for our newsletter to stay updated or just pop by at one of our offices for a fresh coffee and a chat.